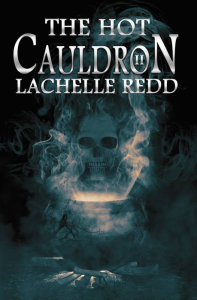 The following is a guest post by Lachelle Redd, author of the horror/dark fantasy anthology The Hot Cauldron II. If you would like to write a guest post on my blog, please send me an e-mail at contact@cecilesune.com. The author’s job is to keep you glued to the page with anticipation and hopes that your character can survive the circumstances placed upon them. In this, the second entry into the Hot Cauldron series, Lachelle paints vivid worlds where success is not always what it seems, monsters protect the just, and innocence carries a harsh sentence. In this book, the killer is next door and the victim just a breath away. With stories ranging from mythical beasts to ghost tales and even a dark rendition of a beloved fairy tale, Lachelle stretches her wings like never before and draws you in and keeps you wanting more. Characters include a disgruntled spouse with holiday plans that include an appetizer for murder. Then there is the young teen shuffled between two dysfunctional parents and the tragic end that brings their past sin to life. In addition, the tale of an ancient evil that claims the lives of two young lovers sends a small town into a panic. However, when a group of local hunters band together to eradicate the evil, they find they are ill-equipped to deal with the demon that hunts from within the Eden Tree. Lachelle stretches the imagination and brings to light new terrors of the dark and daylight. So grab a seat, the cauldron is always on. Lachelle Redd is an Indie author with works on Amazon and Smashwords. She currently resides in Lake City, Florida where she continues to write horror, fantasy and erotica at her own pace. With a love of all things horror, she began writing as a teen and before long had a small library of stories of her own. With many rejections under her belt, she kept those stories on a flash drive for many years. Within the last year, Lachelle found her audience through the evolution of social media and the internet. With many more tales to tell, this author looks forward to enticing and scaring readers for years to come. Did you know that Edgar Allan Poe was afraid of the dark?